At Renewal by Andersen, we take a tremendous amount of pride in our high-quality replacement windows and doors, and it shows. This is why we have become so popular in Kalispell and the surrounding area. We take good care of our customers, we have remarkable products, and there is absolutely no company that can beat our staff when it comes to helpfulness and knowledge. Our level of experience and service is unmatched, and when it comes to our installations, you will be blown away! Whether you are looking for replacement windows or a new patio door, Renewal by Andersen really does offer the most stylish, attractive and energy-efficient windows and doors you can find for your home. How do we achieve this when others have failed? Renewal by Andersen custom-manufactures each window, so that we are certain it matches the opening exactly. This way there is never a leak or a way for the elements to get in or out. This customization process helps to greatly eliminate energy loss from a home. With each window and door, there are a variety of hardware, color and style options you can choose from. We even offer grilles and insect screens. These are important things to consider, and we have friendly consultants who can guide you through the selection process. 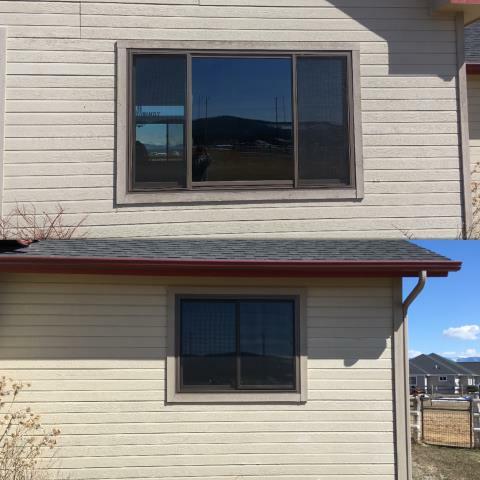 When you start planning on new replacement windows or doors for your Kalispell home, think about what the overall look will be. There are so many styles to choose from, and our certified experts can help guide you to the right product with the best look for your house. Ultimately, we want you to be thrilled with your investment, and we are here to make that happen! Visit our showroom or take a look at our online gallery to see what Renewal by Andersen of Montana has to offer. When you’re ready, call us for a free, no-obligation consultation at (406) 259-3944. We are here to serve you! 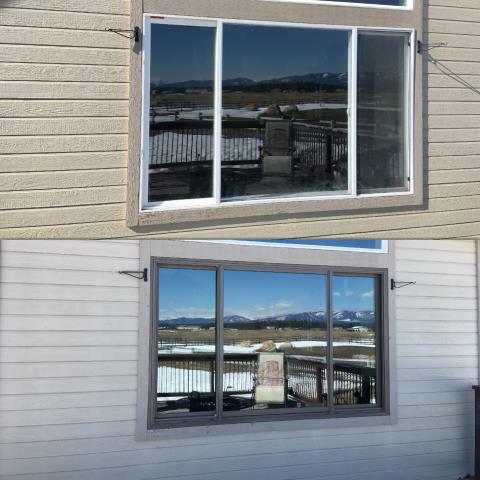 We replaced 13 year old vinyl windows that had failed with Renewal by Andersen Insulated Fibrex Windows in Kalispell.